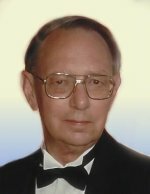 Robert L. Craig, 85, of Belleville, Illinois, born Monday, July 10, 1933, near Licking, MO, passed away Friday, January 25, 2019 at Memorial Hospital in Belleville, Illinois. Robert graduated from Lower Hepsoda School, a one-room grade school in Dent County, MO, and from Licking High School in Licking, MO. He served in the U.S. Army from 1953 to 1955, attaining the rank of Corporal. After earning a B.S. in Civil Engineering from the Missouri School of Mines and Metallurgy (University of Missouri-Rolla) in 1961, he worked for Standard Oil Company of Indiana (Amoco) in sales and product engineering. While working full-time at Standard Oil, Robert attended The John Marshall Law School in Chicago, graduating in 1973. From 1974 through 1983, he served as a St. Clair County, IL Assistant State’s Attorney. He was appointed as Associate Judge by the Circuit Judges of the 20th Judicial Circuit in 1983, and served in that position until his retirement in 1997. Robert was a member of the Illinois State Bar Association, St. Clair County Bar Association, and Illinois Judges Association, and a member of Our Lady Queen of Peace Parish in Belleville, IL. Memorials: Memorials may be made to the Land of Lincoln Legal Assistance Foundation. Visitation: Visitation from 4:00pm – 8:00pm, Friday, February 1, 2019, at Kurrus Funeral Home in Belleville, Illinois. Funeral: Funeral Services will be held at 10:30am Saturday, February 2, 2019 at Kurrus Funeral Home, in Belleville, Illinois, with Father Matthew Elie officiating. Interment will follow at Mount Carmel Cemetery, Belleville, Illinois. I am sad to see that Judge Craig passed away. I appeared in front of him regularly when I was a young lawyer. He was a brilliant legal mind and had a keen, dry sense of humor. Condolences to his family. My condolences to the Craig family. I was a courtroom clerk for Judge Craig in Courtroom 407. He was such a kind judge and great person to work for. He gave me the best reference for my next job. He was brilliant and I loved his dry sense of humor. We kept us on birthdays through birthdays. May he Rest in Peace. Bob was one of the finest men I ever knew. There aren’t many people who have law and engineering degrees. Wicked smart, Judge Craig scrupulously followed the law and treated all litigants the same: fairly. His droll essence of humor was in paralleled among my friends, and he loved to laugh. Judge Craig , his son John and his family are very dear to or family. We are grateful for times spent together.